Here is a wrong statement: “If there weren’t any horror movies released recently, your horror flick will do better”. In the past few months we have witnessed so many horror movies doing very well: Mama, Evil Dead (remake), Texas Chainsaw 3D, Paranormal Activity 4, Sinister and others. This genre was never intended to make hundreds of millions, but since it is by far the cheapest to produce – it has become a gold mine for anyone who gets it right. The opening statement here is wrong, even though it feels very intuitive: if I got my dose of nightmares to last me a couple of months, why would I need to see another horror movie any sooner than that? Well, it turns out that while this logic may seem reasonable to a scaredy-pants such as myself, it does not hold for horror lovers. It means one of two things, or both: 1. Horror film audiences don’t need a hibernation period to digest the harsh scenes from one movie before they are ready for the next; 2. Marketing, as usual, is the determining factor of a horror movie’s success, regardless of the genre-similarity of competing brands (a conclusion I keep reaching on this blog). I’ve heard someone say that there is a theory running around Hollywood, according to which a horror movie will make more money if it is released more than 8 weeks after the previous horror release. 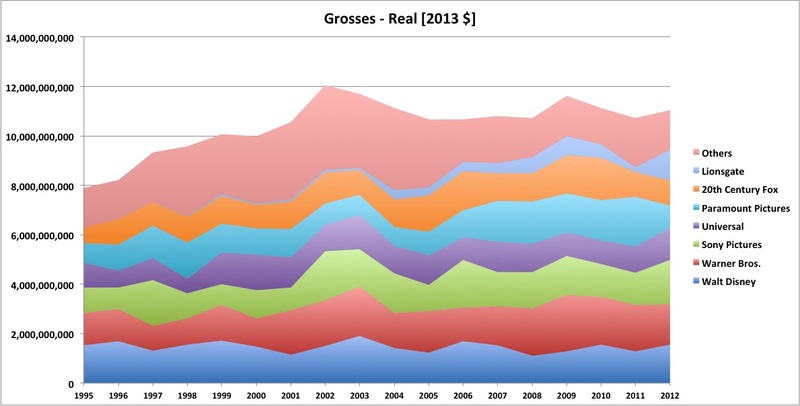 On average – that may be true ($67M vs. $61M for all movies, which is a roughly 10% gain), but the variance is so big that it makes the whole statement non significant. In a future post, I will take a look at other genres, but horror is such a well-defined one, that I had to go for the low hanging fruit first. So if you are an exec, sweating over a release schedule decision for your horror flick – take it easy. I would pay more attention to what other genres are doing on your potential opening week (see the previous post on that surprising matter) than what your fellow horrorists have been up to recently. It just doesn’t matter. Oh – and don’t forget to market the living daylights out of it, of course. 20. 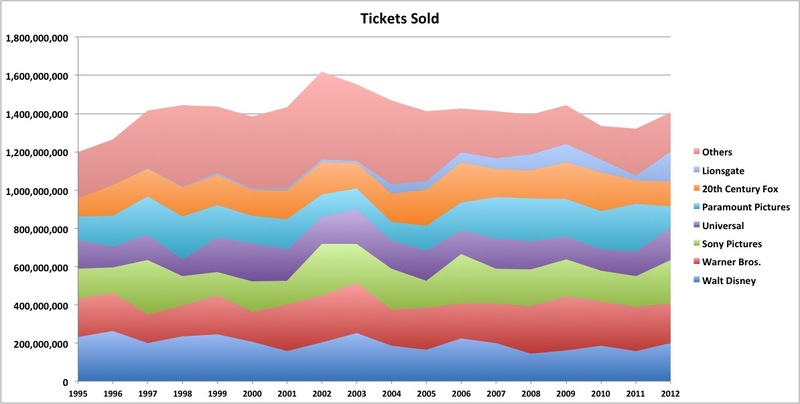 DOES WORD OF MOUTH REALLY AFFECT BOX OFFICE PERFORMANCE? Word-of-mouth is a nice buzz expression. But you should be careful when and how you use it. Companies like Cinemascore have spent the last couple of decades gauging viewers’ responsiveness to movies as they leave the theater. It is common perception that if a movie gets an A+ score is likely to have a good run due to positive word-of-mouth. If it gets an F (like Brad Pitt’s recent “Killing Them Softly”) – they are expected to crash and burn very quickly after the first week. Rotten Tomatoes’ thousands of users’ scores (which are different from their critics’ scores) can be used as a gauge of word-of-mouth: if I gave a movie a bad score, I will probably tell all my friends that I didn’t like it. 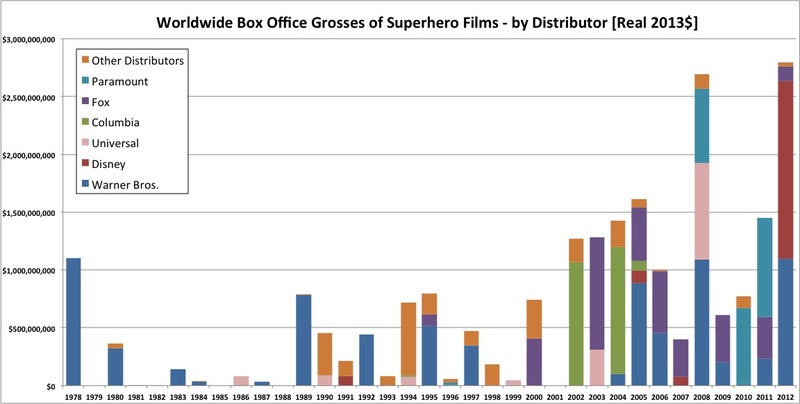 So let’s compare that to box office performance after the first week in theaters – aka “box office decay over time”. This means that the mega blockbusters are controlled by their marketing, or by the power of the franchise or by whatever – but not by what your friends tell you about the movie. Think about it – how many people told you not to watch “Ice Age: Continental Drift” and yet – you watched it anyway? That movie got a user score of 63, implying people are not saying good things about this movie, and yet – it made 81% of its total grosses after the first weekend – a very low box office decay over time. 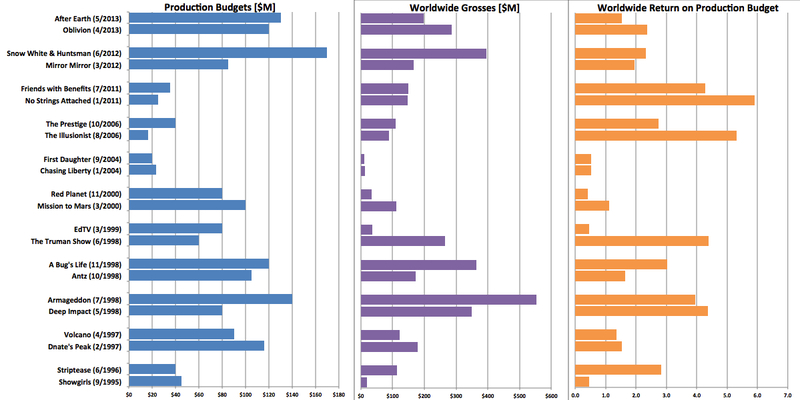 On the other side are the more modest movies – those that bring in $30M-$50M. Those movies’ performance after the first week is much more sensitive to word-of-mouth. And that makes sense: when you don’t have a gigantic brain-washing budget, you have to actually make good products. The bottom line: We watch mega blockbuster “event” films because we have to – it’s primarily a social obligation and only then an emotional entertainment experience. And then we watch smaller films in order to satisfy our personal need for quality entertainment. In other words: we watch Spider-Man because we have to, and the fact that it is good or not will not change our actions. But we watch Lawless primarily because someone we trust told us it is good.